Are you over 65 and wondering if you can and should get a flu shot? The short answer is "yes". The flu shot isn't just safe for older adults, but more necessary than ever before. Healthy adults usually experience the flu — which is caused by an influenza virus and typically leads to a fever, runny and stuffy nose, cough, chills, headache and muscle aches — as just an annoyance that will go away in a week or so. However, if you are a senior citizen (older than 65), things start to get tricky, because the immune system gets weaker over time and you'll be more susceptible to viruses as you get older. 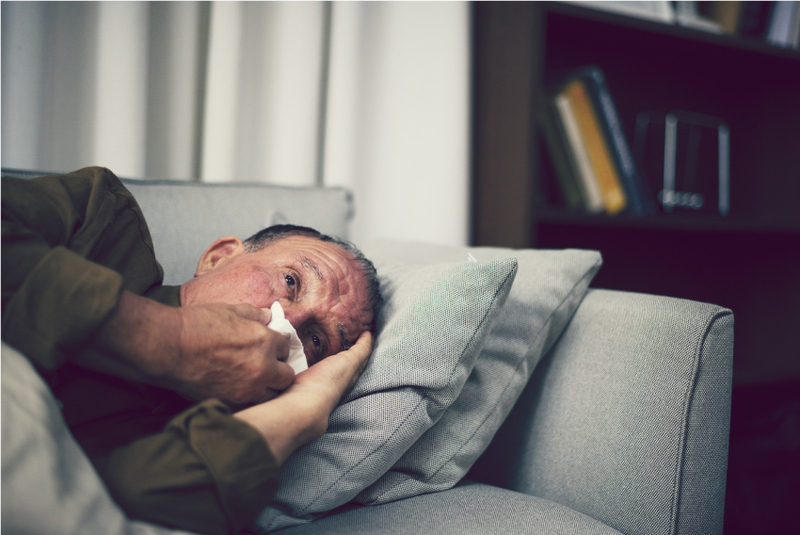 Studies have found that most flu-related fatalities occur in people over 65 years old, as well as that up to 70 percent of people who need to be hospitalized for influenza are older. In no way does that mean you're doomed, but it does mean you should be informed about the flu so you can take steps to protect yourself. The flu shot is the easiest and most reliable way to do this. Influenza: What are the complications and how likely am I to get them? Can people over 65 receive a flu shot? You could stay away from sick people. You should wash your hands rid them of the germs on your hands after you touch public surfaces or shake someone's hand. Germs, including the flu virus, is easily spread if you touch contaminated surfaces then rub your nose, eyes, or mouth. So never touch your face with unwashed hands. All these steps will lower your risk of catching the flu and many other viruses, but the flu shot is still the best way to protect you from influenza. The Centers for Disease Control and Prevention strongly encourages people older than 65 to get a flu shot, along with, actually, everyone older than six months. Keep in mind that you need to get a new flu shot every year to keep your protection up to date. What flu shots are suitable for older adults? Besides the nasal spray flu vaccine — only approved for people aged between two and 49 — folks over 65 can receive any flu shot. In addition to the regular seasonal flu shot, two different vaccines are especially designed for those aged older than 65. These two vaccines are called Fluad and Fluzone. Fluad, an adjuvanted flu vaccine which has been reported to work 63 percent better than a regular-dose unadjuvanted flu shot, has an additive to make it more effective. Fluzone, meanwhile, is a high-dose, three-component, vaccine. With this flu shot you get quadruple the antigen — the active component — than you would in a normal flu shot. This flu shot works about 24 percent better in protecting the elderly from the flu compared to a standard-dose vaccine, and reduces your risk of hospitalization. It may be hard to decide what flu shot is right for you, so it’s a good idea to ask your physician. You should also provide information about any allergic reactions that you might have had to drugs or eggs earlier. In addition to a flu shot, people over 65 should also consider a pneumococcal vaccination which protects against pneumococcal disease like pneumonia, bloodstream infections, and meningitis. Contact your physician to find out more — and consider getting this vaccine while you have your flu shot. Can I still get the flu if I get a flu shot? The flu shot drastically lowers the risk of getting the flu, but you can still catch it. Because senior citizens are more likely to suffer potentially life-threatening complications, it's especially important to keep your eye out for symptoms and get in touch with your doctor right away if you suspect you have the flu. Antiviral drugs are at your disposal to help ease your symptoms, reduce your risk of complications, and shorten the duration of the flu. Some of these antiviral drugs are zanamivir (Relenza), peramivir (Rapivab), and oseltamivir phosphate (Tamiflu). The fact that they are most effective when taken within 48 of the first flu signs means it's really quite important to get to a doctor immediately.